By opening your eyes to how much the world has to offer, traveling widens your perspective and allows you to expand your consciousness in many different ways. Depending on what you want to learn about yourself and the world has a lot to do with where you choose to travel, so it’s valuable to give this destination some honest thought. I went through a long mental process when I was making my travel plans for next winter, and Thailand came out on top for many different reasons. If you’re thinking about traveling here, it’s important to consider how your personality and desires will align with the country’s culture so you can have a wholesome experience. Over 90% of Thailand’s population are Buddhists, so the influence it has on the culture as a whole is huge. You’ll see Buddhist temples everywhere and monks with their students in yellow robes. While you don’t have to necessarily agree with their religious system, you should respect it and be open to learning something new. Buddhists firmly believe in “doing good” because they want to receive goodness in this life and the next. This is based off the “Law of Karma” which states that actions always have an interrelated result, whether it be in this life or their soul’s next reincarnation. They practice meditation, yoga, and study the religion to reach spiritual enlightenment or “Nirvana”. Since this is a very basic description, I suggest doing more in-depth research if you end up going. Traveling somewhere affordable is always great, but keep in mind that this isn’t the most important thing to consider. Thailand is extremely cheap and stretching your dollars is fairly easy if luxury isn’t a necessity. Basic hostels are under $10 USD a night, and most of the time they are beach-side. A full meal will cost between $1-5 USD and the best way to travel is by bus, which typically charge $5-6 USD for a six hour ride. If you’re looking to get around town, public transportation costs pennies with longer rides reaching a few dollars at most. Thailand is mostly hot and humid, but this entirely depends on the area and time of year. Bangkok and Southern Thailand are warmer and higher in humidity compared to areas in Northern Thailand, and it can drop below freezing in the mountains. Monsoons cause extreme flooding from July to October, but you can typically avoid this by traveling north. The peak travel season is between November and February when there’s lower humidity and heat. Thailand offers endless adventures for nature travelers. From exploring hidden beaches to hiking jungle mountains, there’s something for everyone here. Many people choose to backpack the island, and it’s an easy place to start if you’re a beginner. Think about the best dish that you’ve had at a Thai restaurant, and expect the food in Thailand to blow it out of the water. The ingredients are fresh and it’s as authentic as you can get. Excluding sushi, most dishes are extremely cheap so eating out is usually the most affordable option. Cooking classes are also offered in the cities, so if you want to take the Thai flavor home this is a great opportunity to do so. 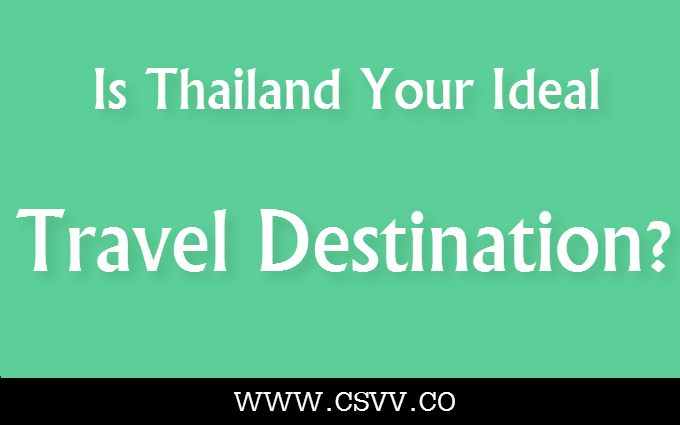 It’s important to keep in mind that Thailand is a major tourist destination, so you should anticipate crowding at popular attractions like temples and beaches. The growing number of resorts and package travel deals are making prices jump in the southern part of the island, so traveling cheap is easier up north. While it’s easy to let tourists drive you away from a certain area if you prefer more secluded travel, try to think on the positive side. Tourists aren’t going away, and they haven’t infiltrated every beach and location on the island. Talk to people who have been there and get insider advice on the internet through forums and articles. Some people have to super plan vacations while others can simply buy a one-way ticket and travel in the moment with no plans or obligations. This completely depends on your personality and preferences, but either way it’s a good idea to do a small amount of research on safety and etiquette in Thailand. Without researching this information you could possibly get hurt or end up disrespecting someone, which could make it difficult to assimilate to the culture. There are so many wonderful places to visit in the world, and it seems impossible at first to choose just one. My advice is to look deep within yourself and follow your heart. The Universe is constantly giving us signs, so try your best to be in tune with that and you will eventually know the answer. Meditate, look at pictures, do research, and think positive thoughts about wanting to travel and the destination will come to you.